Join us in editing and creating new Wikipedia pages related to art and feminism and underrepresented peoples in the arts . . . no Wikipedia experience required. Bring your laptop, and you’ll find yourself empowered to edit the internet! 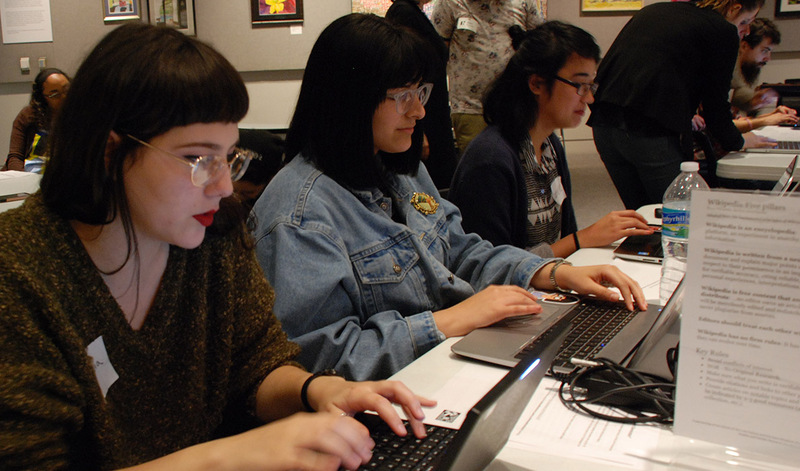 The event is organized by the Harn and the UF School of Art and Art History, and is presented in conjunction with the world-wide 6th annual Art + Feminism Edit-a-thon. This is a stimulating, empowering and fun event. More information here. Ask questions or register for this free event by email to esegal@harn.ufl.edu.